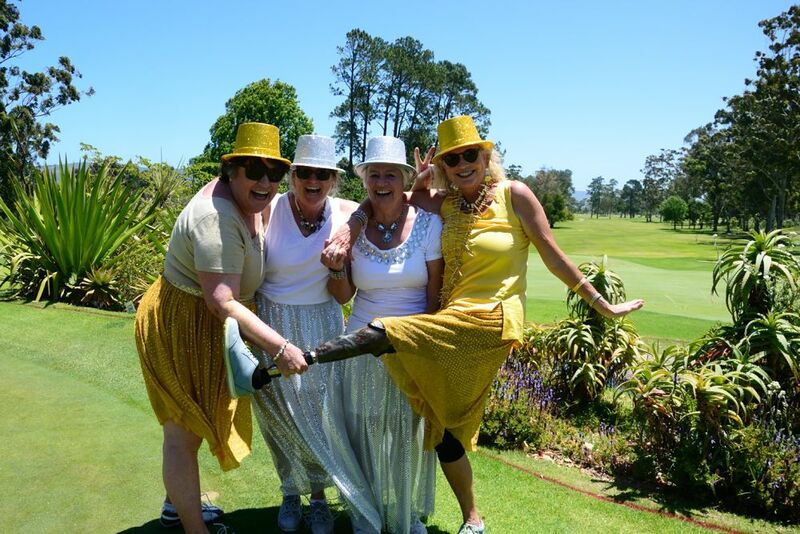 Yesterday, Thursday 30 November saw the Ladies Christmas Competition take place with a shotgun start at 8.30 with an American Scramble format, 1/10 combined handicaps. 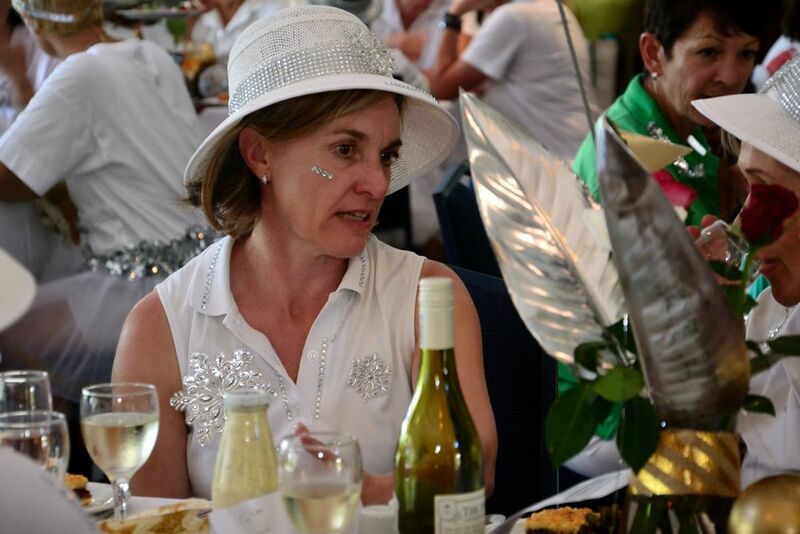 The theme this year was “SPARKLE”. 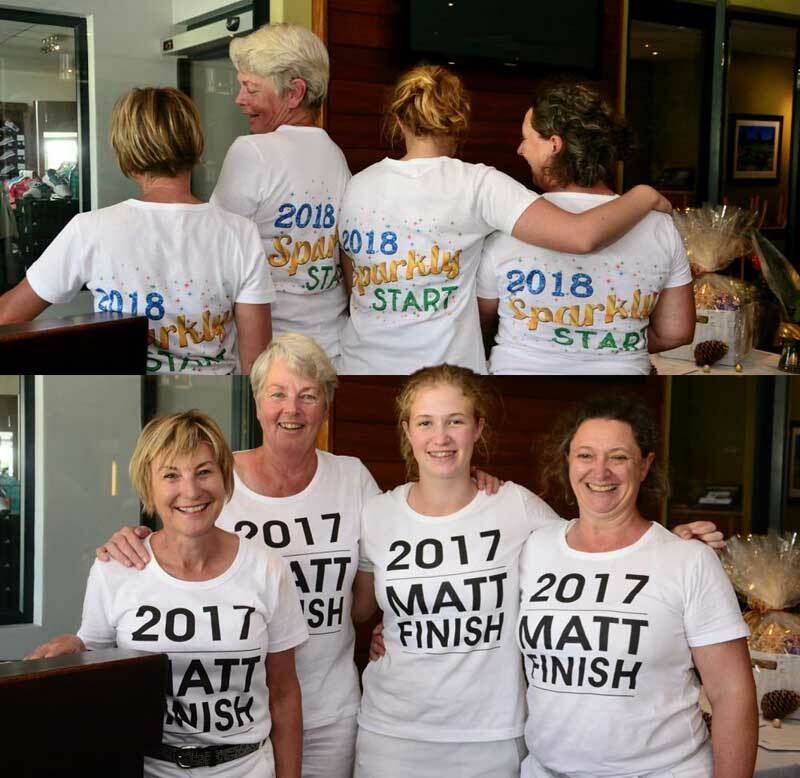 And all those taking part certainly did. 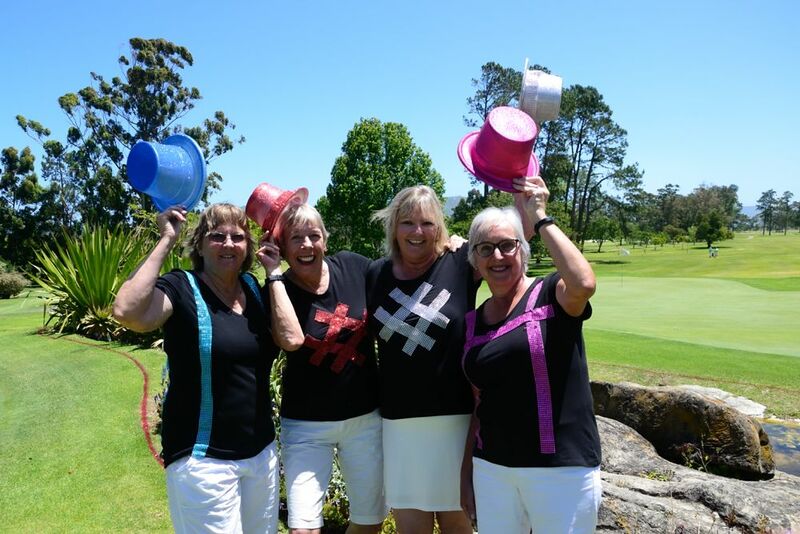 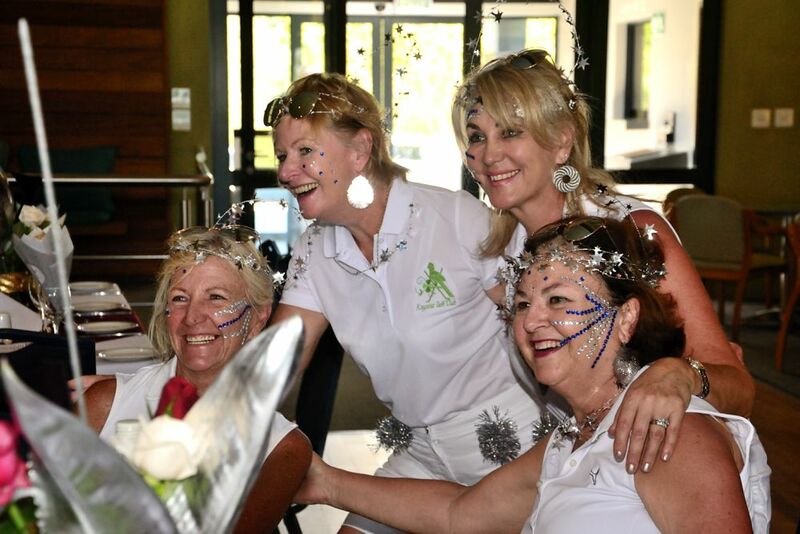 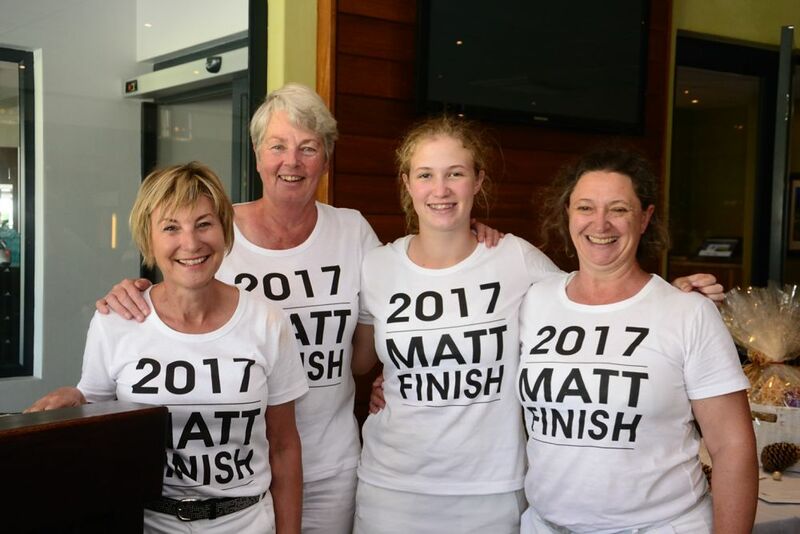 The winning fourball was Judith Flevill, Tina White, Elizabeth and Tanya Lightly. 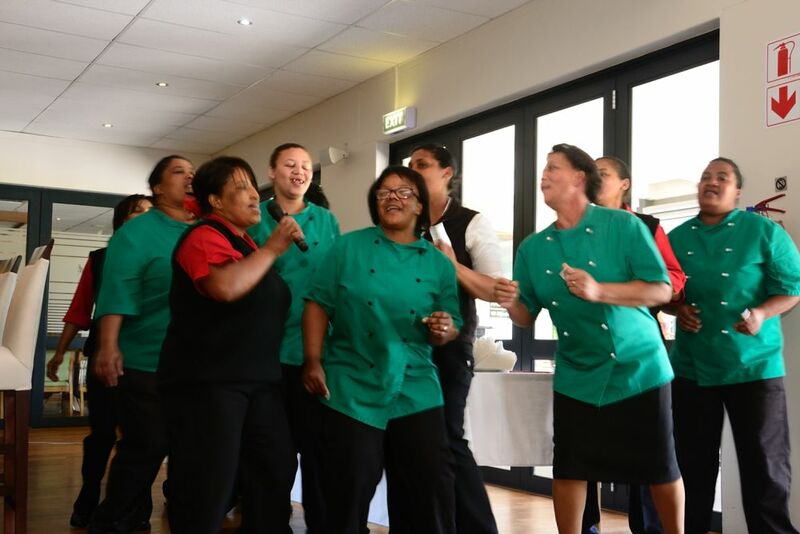 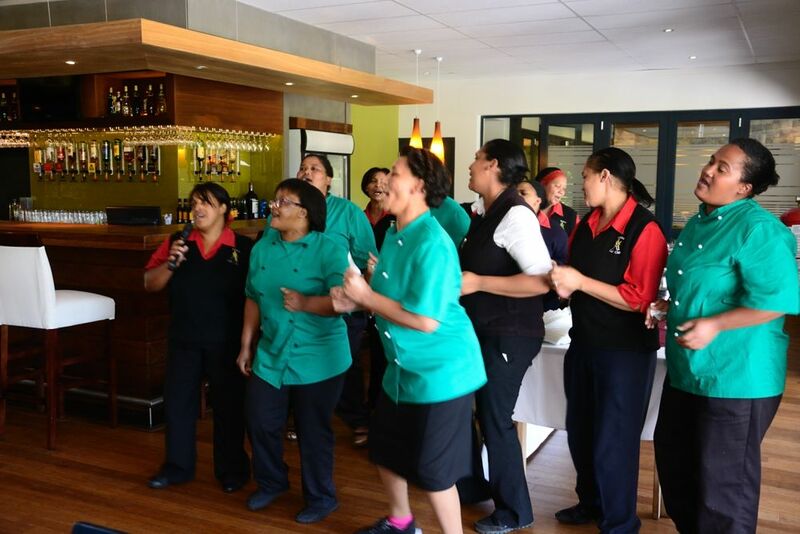 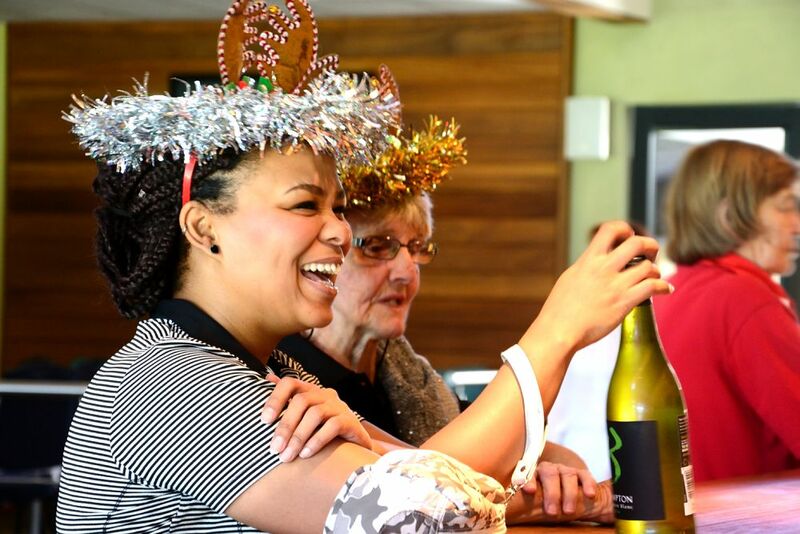 After the competition a very festive lunch was served with our halfway house staff performing some very entertaining songs which were received with rapturous applause and appreciation. 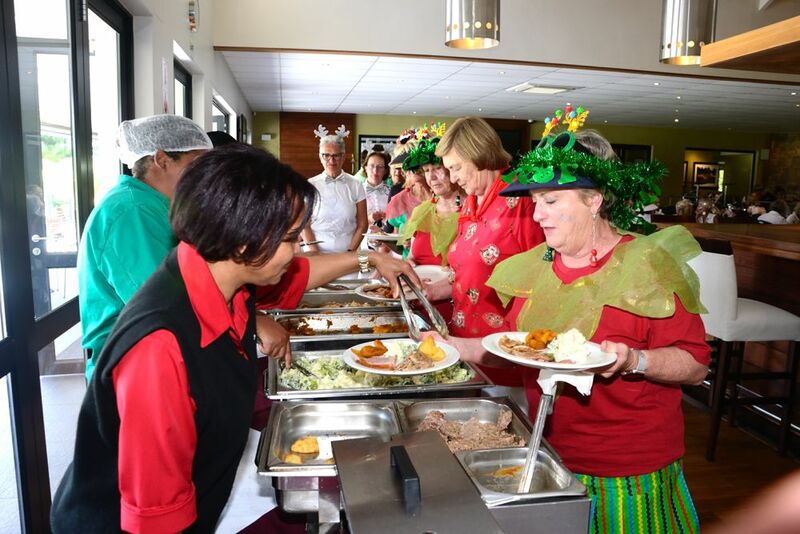 During the meal each table was asked to stand and sing-along to Christmas songs. 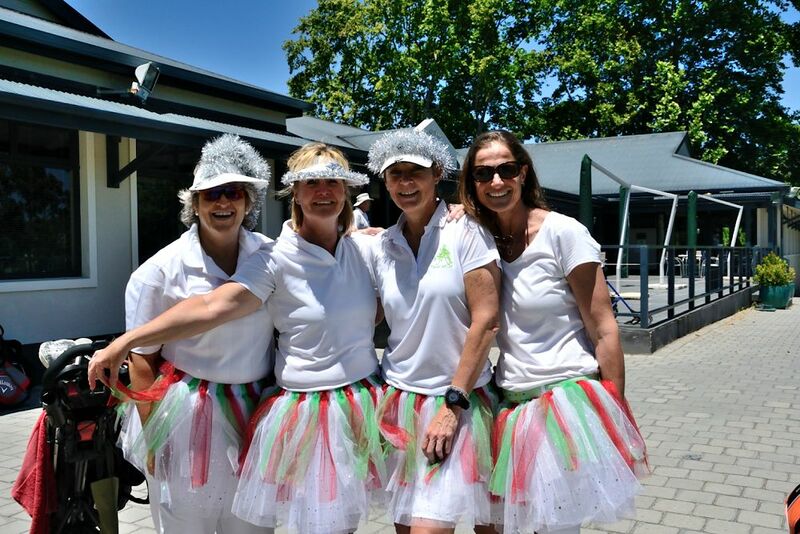 The results could best be described as ‘amusing’ but great fun! 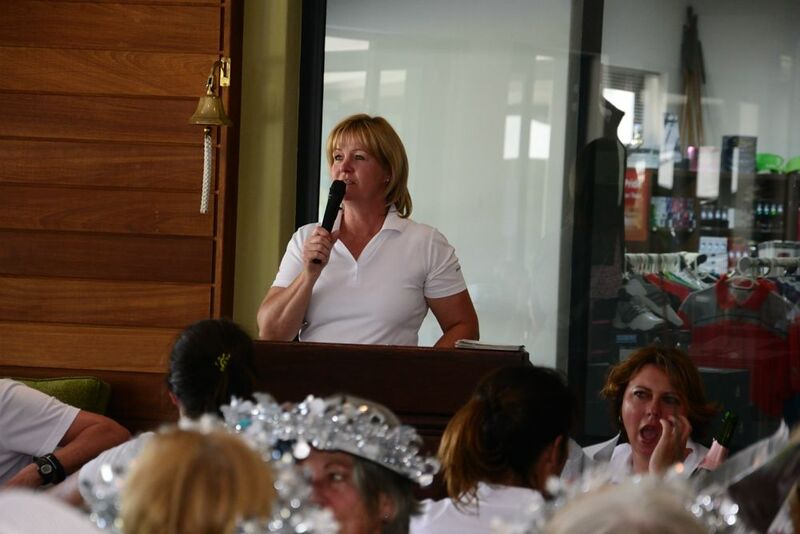 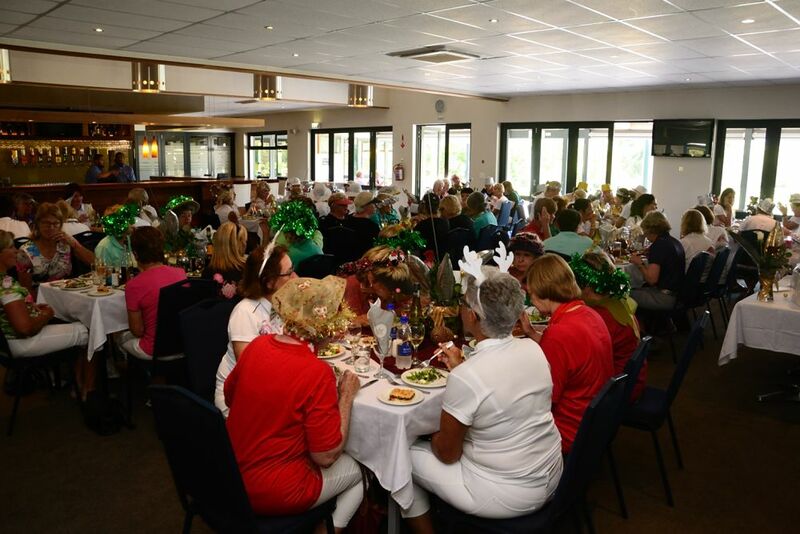 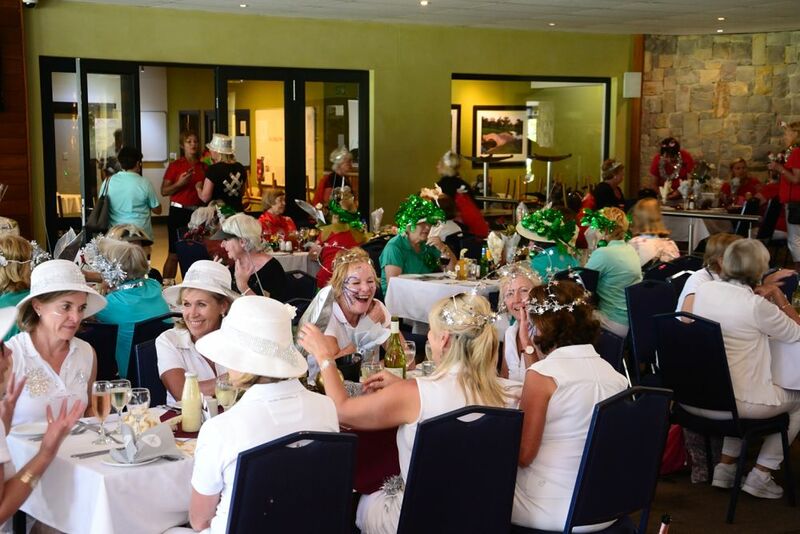 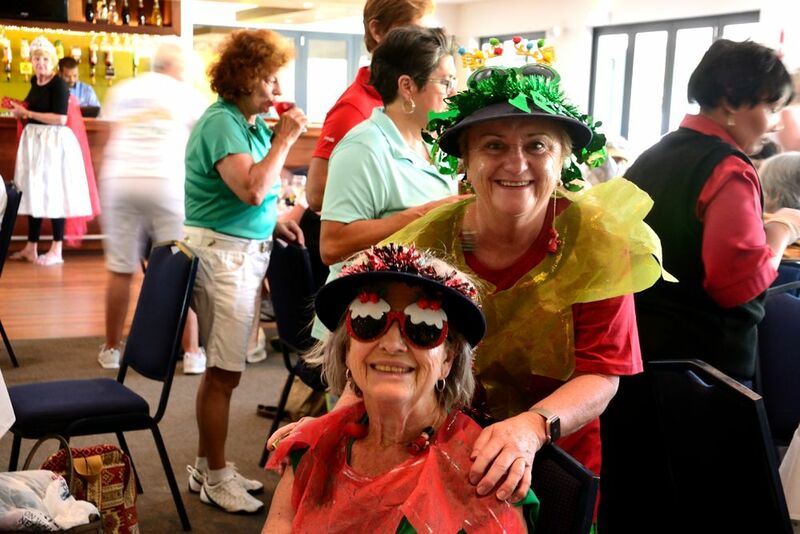 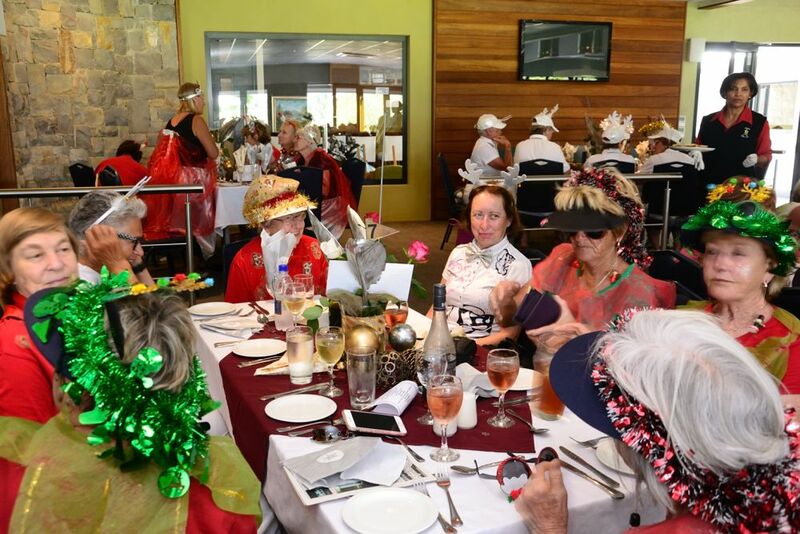 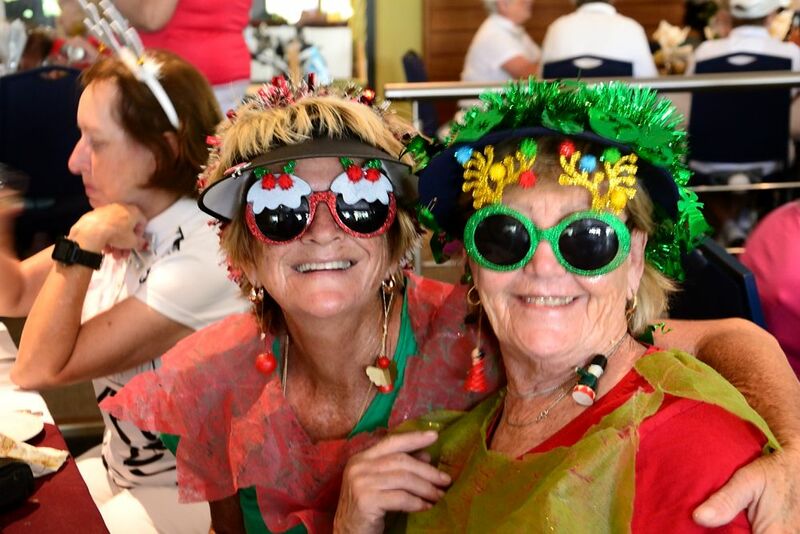 Congratulations must go to the Ladies’ Committee for the excellent organisation and especially the Lady Captain Sunet Venter, who incidentally won the grownups Santa Box – well deserved. 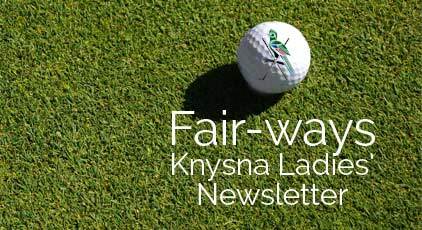 The Club wishes to extend grateful thank the following sponsors: Sporsage, Food Lovers Market, St Francis Links GC, St Francis Bay GC, Fancourt, Kingswood GC, Simola GC, Pezula GC.